Proper installation of a GSHP involves numerous considerations, such as system sizing, integration with the distribution system, ground loop installation, and refrigerant work. Hiring a qualified installer is essential and may be required to keep warranties valid. As with any construction project, be sure to obtain more than one bid, remembering that the cheapest option may not be the one with the highest quality installation or most comprehensive warranty. 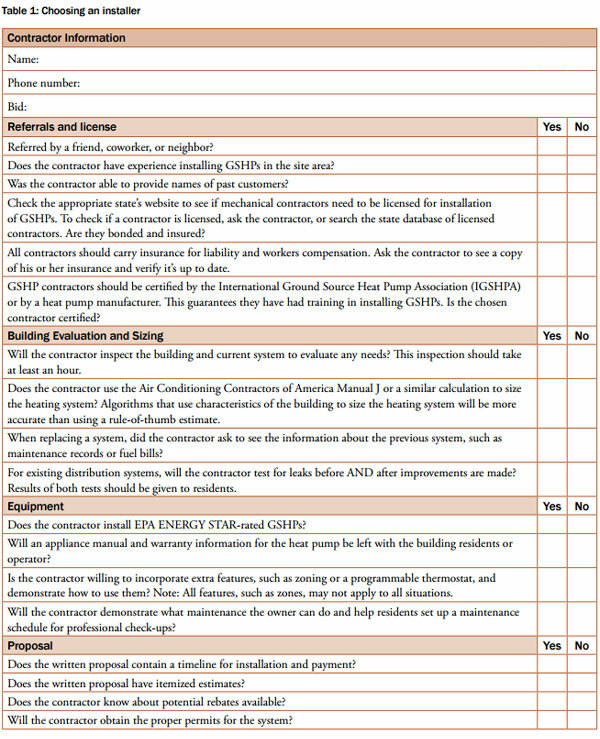 The checklist on the next page will help evaluate available contractors.